What makes a charity chuck in 52 years' of history by changing its name? 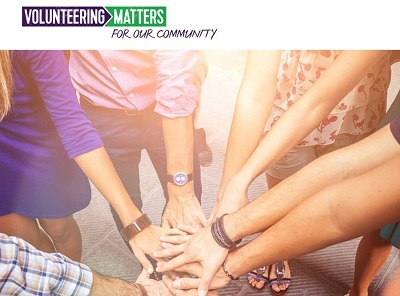 In April 2015, Community Service Volunteers (CSV) did just that: we relaunched with a brand new name – Volunteering Matters. The simple reason behind the change? Our name was holding the organisation back. We felt we were successful in spite, not because, of it. What once worked and resonated with our target audience no longer did so. As time moves on, words change their meaning, acronyms become confusing and brands can become perceived as out-dated. CSV needed to change. We knew from the outset that those people who knew CSV loved it. But there were many many more that didn't know us – "Ah yes, CSV, I've heard of you. What do you do again?". And "What does CSV stand for?" Even unpacking our acronym didn't help answer their questions. We were, on too many occasions, assumed to be a probation service. Our organisation has a heritage. We transform lives, inspire individuals, change communities and we deliver all this through the dedication of our trained and passionate volunteers. What we do is too important to be held back by a simple misunderstanding. The trustees were all in agreement – a new name was needed. Key buy-in was there from the beginning; one fewer hurdle. The time was right to reposition the organisation to where it needed to be, focusing on social action volunteering. We had a clear strategic direction, redeveloping the brand into a modern, relevant and impactful charity whose purpose was clear to all. We chose Spencer du Bois to work with us. The agency understood from the very beginning what was required. Just as important, they weren't phased by the timeline involved: five months from brief to launch! Next came involving all our staff – over 230 of them. Passionate about their work and the lives they help to change, they were of primary importance to the rebrand. We knew we could rely on them to voice an opinion, to feed into the change. We were right. Over 85% of staff completed the initial survey covering our mission, brand positioning and name – and 84% shared our dissatisfaction with the name. We were lucky: we had a great agency and an internal team who felt truly invested in the future of the organisation. We made it clear that their feedback was crucial to the change process. We held workshops with different staff groups and these proved vital in clarifying our future plans, helping to build our key messages and brand position. The surveys were collated and several new names tested (not forgetting all the necessary trademark and legal checks), and visual identity further developed. We then had something to share internally. With over 150 projects across the UK we decided that the best way to share this was face-to-face via a brand roadshow – visiting staff and volunteers in their areas. The combination of face-to-face conversation and online consultation meant that when launch time came, staff not only knew what was coming but were really excited by it. Together we'd come up with something really inspiring. To quote Max du Bois, we had "embraced the transformational value of social impact volunteering and turned it into our driving brand principle – Volunteering Matters." Put simply, the name puts volunteering and volunteers at the front of what we do. The duality of meaning – the two definitions of 'matters' – is clever, but not too clever. The visual identity of a simple, strong arrow-based logo conveys the direction and positive change that our organisation gives people. It also gave us a great flexible grapic to use across our brand collateral, bringing it all together. No matter how good the name or clear the logo, when you're a charity operating nationally with tight budgets you need a brand that's easy for staff to put into action. Our roadshows meant that staff knew why the identity was good, but they also needed collateral to help them get it out there. So some of the most appreciated materials we provided were the simplest: well designed exhibition banners and clear word templates with which to create their own flyers. Consistency and practicality were key. We launched (brand new website and all) at the end of April this year, on time! However this is all just the beginning. The feedback and adoption has been encouraging so far but we always recognised that this wasn't a one-off project. Building our brand and reputation is ongoing but is arguably so much easier now as 'Volunteering Matters'.